Trust a single source of truth for lease acquisition, lease management, right of way, and GIS. Gain insight with reserves management, petroleum economics, budgeting, capital planning, and decline analysis. Manage and report on all volumetric, cost, and revenue accounting across the energy value chain. Rely on WellEz for smarter cloud technology, personalized 24x7 support, and pay-as-you-grow pricing. Get end-to-end production management and on-demand access to data, captured in the field and optimized in the cloud. Streamline commercial transactions for natural gas, NGLs, and crude gathering with an all-in-one customer portal. Optimize and simplify complex processes for commercial transactions for gas plants and crude waste management. 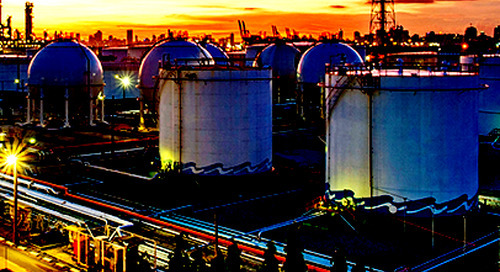 Maximize capacity, throughput, and revenue with pipeline, LNG, and crude management. Integrate gas acquisition, delivery processes, and data for full insight into supply and demand. Simplify marketing operations and gain visibility into risk, supply, credit, and settlements. See how Quorum Upstream On Demand lets you run with the power on one, integrated solution. Join 500+ of your peers for three days packed with 90+ sessions. Learn how contract, legal, and compliance teams can reduce contract and counterparty lifecycle complexity. Deliver evaluations of upside economics immediately to understand the business impacts of A&D decisions. myQuorum Data Hub provides access to easy-to-use, accurate Quorum data for business users and analysts to build reports and analysis in the tool of their choice. Deliver immediate economic results to stakeholders with unified reserves management that is accurate, secure, and auditable. Rely on the fastest, most complete economic engine for the best decisions, at the right time, with the most accurate data. Focus on critical decisions that support your business strategy through efficient tracking, review, and reforecasting of capital. Improve reserves processing time from five weeks down to five days on average. Create confidence in budget, planning, and forecasting across teams to drive greater insight throughout your business. myQuorum Cost Accounting helps you maximize every dollar flowing through your system by tracking partner expenses, project budgets, and asset depreciation. Focus on solving problems rather than finding them with integrated field data capture, operations management, and production reporting. Well lifecycle reporting with cloud-based technology, pay-as-you-grow pricing, and an easy-to-use application supported by personalized service and 24/7 support. Complete, web-based solution that offers industry-proven functionality and workflow automation for lease and title analysts, land administrators, landmen, and other land professionals. Read the Land Management Overview to see how your company can benefit from a single source for managing leases, contracts, fee properties, and more. 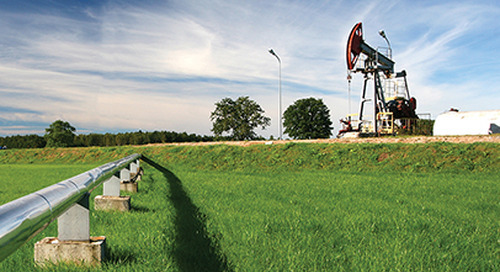 Find out how you can be up and running in days with Quorum's cloud-based land management software preconfigured for growing E&P companies. Learn more about the industry’s most widely adopted lease acquisition software, integrated with leading land management from Quorum. Gain insight across land acquisition, title management, and land management by visualizing your data in a spatial (map) view. Learn how to maximize efficiency and productivity with user-friendly right of way management software from Quorum. Read more about online and calendar-based payment and obligation management software, integrated with leading land management from Quorum. Manage the entire life cycle of your land assets with Quorum Land Management Canada. Learn how to simplify accounting processes and improve reporting with transparent workflows and user-friendly dashboards. Mobilize your workforce with myQuorum AFE, enabling you to approve, track, and audit AFEs and budgets anytime, anywhere, and from any device. ©2018 Quorum Business Solutions, Inc. All Rights Reserved.